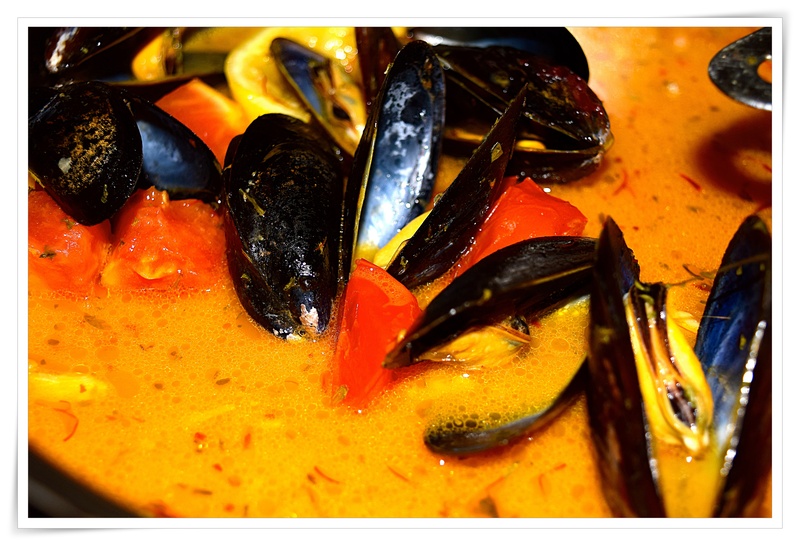 This week’s theme over at the cooking club is “From the Vine” recipes and at this time of year there are so many vine foods to choose, but of course, wonderful summer tomatoes take the lead for this wonderful surprise mussels dish. Mike went to pick up some fresh fish and lo and behold they happened to have wonderful mussels so he surprised me with just enough for me which was a pound or so and I enjoyed a nice appetizer before dinner. 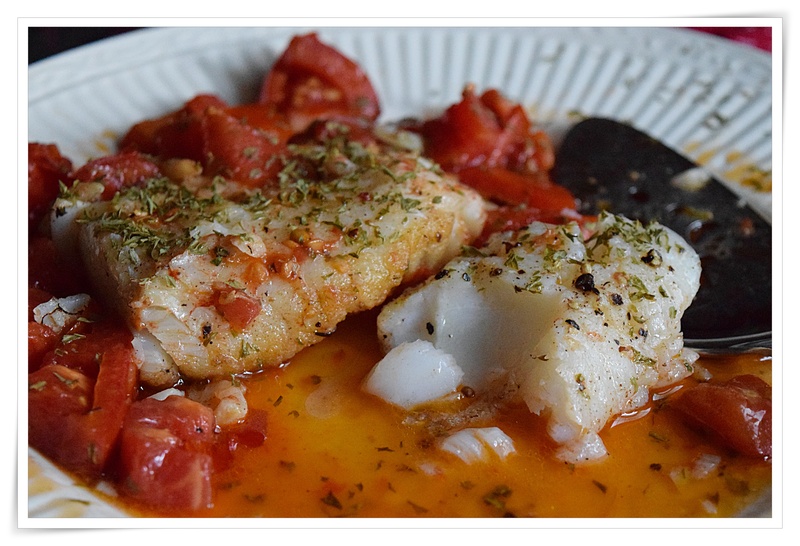 While I was determined to finish off the summer basket of vegetables before I shop for late summer vegetables from the farm stand this week I also made a very easy fish dish with the remaining tomatoes…both dishes were wonderful and so easy. In a small bowl steep the saffron and lemon juice for 5 minutes. Add the softened butter and whisk until fully blended. Season to taste with salt and pepper. Scrub the mussels well under cold running water, discarding any with broken shells. Remove the beards from the mussels. Heat the olive oil in a heavy large skillet over medium-high heat. Add the garlic and sauté until lightly toasted, about 1 minute. Add the mussels, tomatoes, white wine and parsley; toss to combine. Add the saffron butter, cover the skillet and cook the mussels until they all open, about 3 minutes. Season to taste with salt and pepper. Serve in bowls with crusty artisan bread.